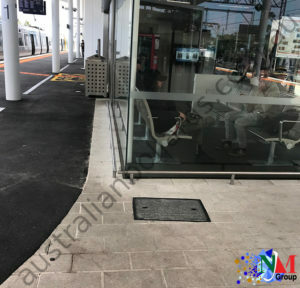 Australian Bollards has recently installed several custom-manufactured steel gates at Frankston station. We have also installed bump rails to protect the large windows of a sheltered area. 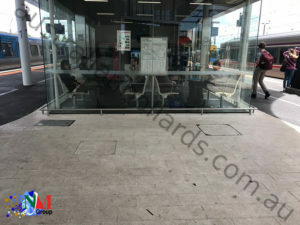 The sheltered building is a great place to hide from the weather while waiting for a train, and the full-length windows offer a great view of the rest of the station. 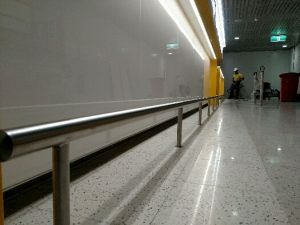 To keep people from bumping into the windows with trolleys and prams, we added stainless steel bump rails on the outside of the glass. If your building has floor-to-ceiling windows in a place with low-speed wheeled traffic, then bump rails are a good investment. To find out more, visit our website or call +613 9459 3488.